Why do children resemble their parents and siblings? Introducing young readers to the fascinating world of genetics, this educational resource presents the main concepts of the science, including what a chromosome does, how DNA is structured, and how genetic inheritance works. Students learn about new discoveries in the field of genetics and how those discoveries have helped to cure or even prevent certain diseases, as well as examine controversial issues in genetics such as genetically modified foods and stem cell research. 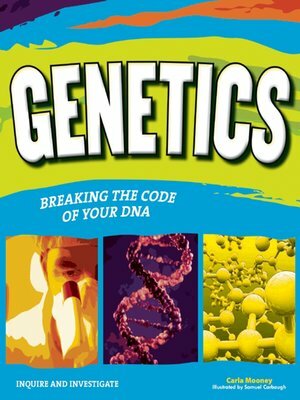 Combining inquiry-based, age-appropriate activities with biology, Genetics: Breaking the Code of Your DNA features graphic novel illustrations, fascinating sidebars, and a glossary of important vocabulary to illuminate the complex world of genetics and bring it to life. Projects include building 3D DNA double helix models, extracting DNA, using a Punnet Square to predict an offspring's probability of inheritance, and evaluating the benefits and risks of genetically engineering a new species. Additional materials include a list of current reference works, websites, and Internet resources. Genetics meets common core state standards in language arts for reading informational text and literary nonfiction and is aligned with Next Generation Science Standards. Guided Reading Levels and Lexile measurements indicate grade level and text complexity.